Whenever we engineer any delivery team, process or structure, we need to measure success by two factors, outcome they have achieved and habits they exhibit. Let’s elaborate what I mean by both Outcome and Habits. All documents produced for a product will be cumulative i.e. existing product documents will be enhanced to incorporate these new requirements. For new projects this would be brand new set of documents. For multiple vendor scenario, make sure you create an environment where they work as one team. You really don’t want people to have their own agenda otherwise you will drift from the main objective. This phase accepts the MVP that comes from the ‘Delivery In Sprints’ phase. The product goes through rigorous testing by users and Ops. It is also tested to ensure that it complies with non-functional requirements. Typical tests done in this phase include the spill overs of the acceptance tests and Non functional tests (e.g. Volume & Performance, Availability etc.) for the stories completed in the last sprints. By absorbing the majority of tests into the preceding ‘Delivery In Sprints’, the process is accelerated. It can be further sped up through automation. In advanced teams, approval can be automatic, further shortening the cycle. A high degree of automation is essential to ensure that the application moves through this phase very quickly. 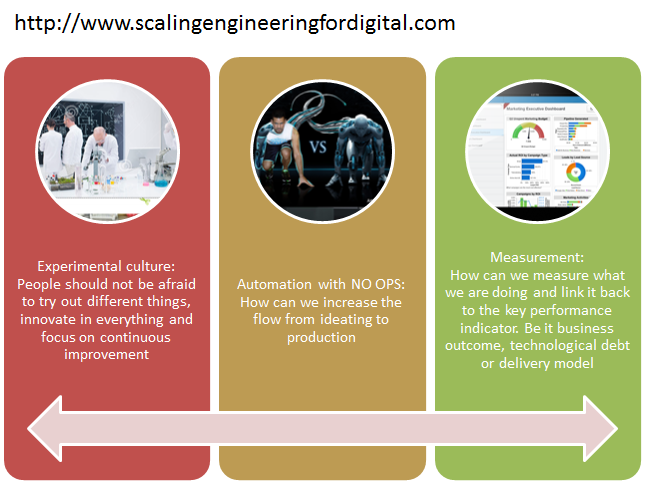 Maturity model helps you to see bigger picture and assesses where you are as an organization within the DevOps and Continuous Delivery space so that it is easier to assess how much more ground we need to cover. This can also be used as a reporting tool as part of the process to understand if there are improvements made overall in the transformation. 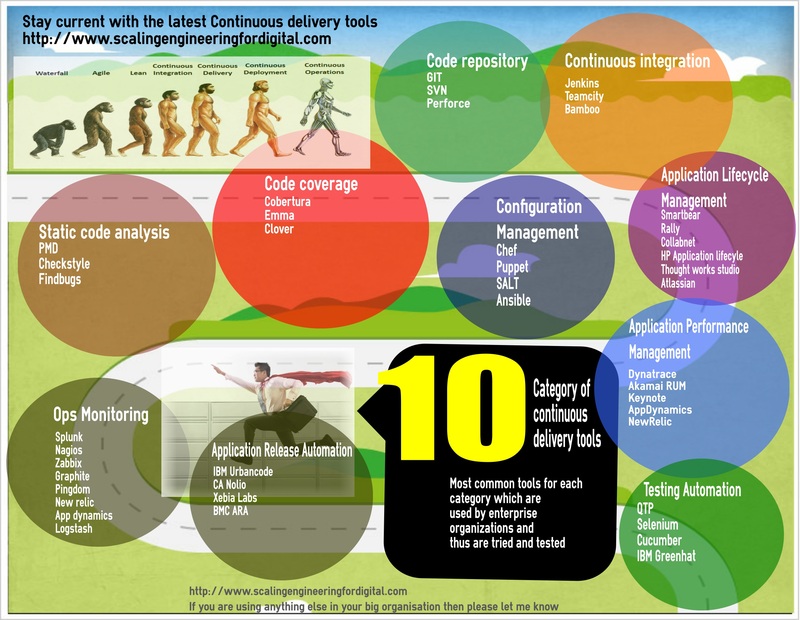 There are multiple DevOps maturity model which are already defined and goal is certainly to not repeat these here. My goal is to provide more objective assessment and help in creating that action plan in a more interactive fashion. Based on my personal experience and research, for large enterprises, there are 10 key factors to measure and most of the action plan will surround around these 10 factors. Please download the maturity model and select your level in Column D for each of the 10 factors. This will give you the score. You can select the area for your organization which you want to include in the action plan based on the current state. Please do not hesitate to get in touch if I could be of any assistance in this small exercise.